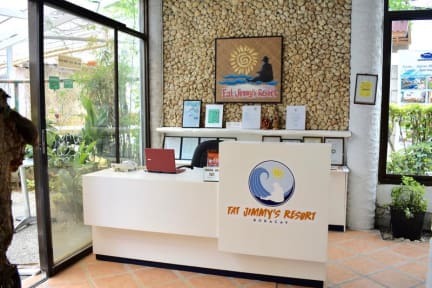 Fat Jimmy's Resort v Boracay Island, Filipíny: Zarezervujte nyní! Now with the new improved set up, we are already serving mixed dorm type rooms and apartelle type rooms for long staying guests. 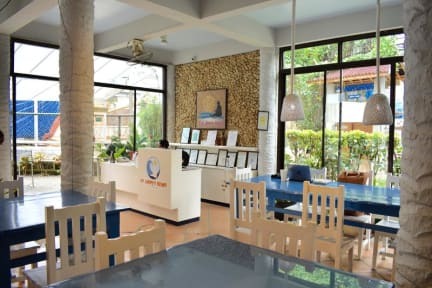 Located at the heart of Boracay at Station 2, D'Mall near the street and only 5mins away from the beach. It has 16 neat and clean hotel - type rooms, 2 of which have their own kitchen counter as apartelle style and 2 mixed dorm hostel rooms. We have a common area for lounge and roof deck for recreation.